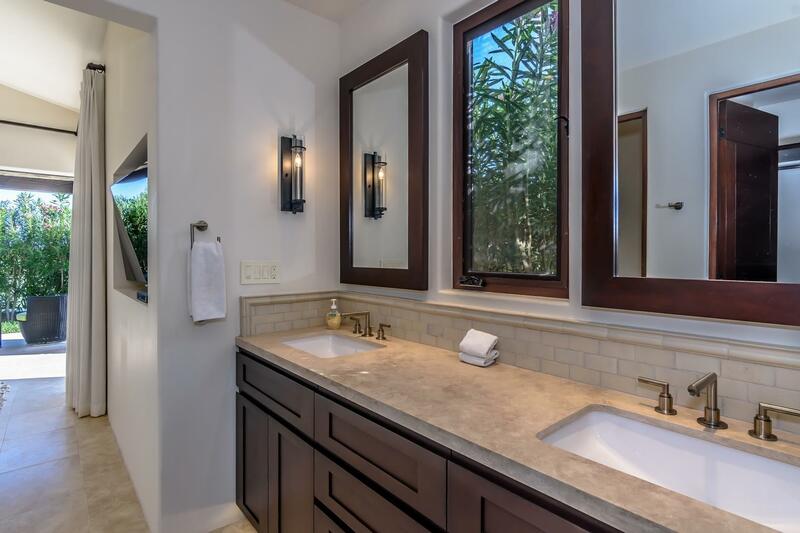 Magnificent Turnkey single level home perched high on the canyon ridgeline offering stunning ocean and city light views. 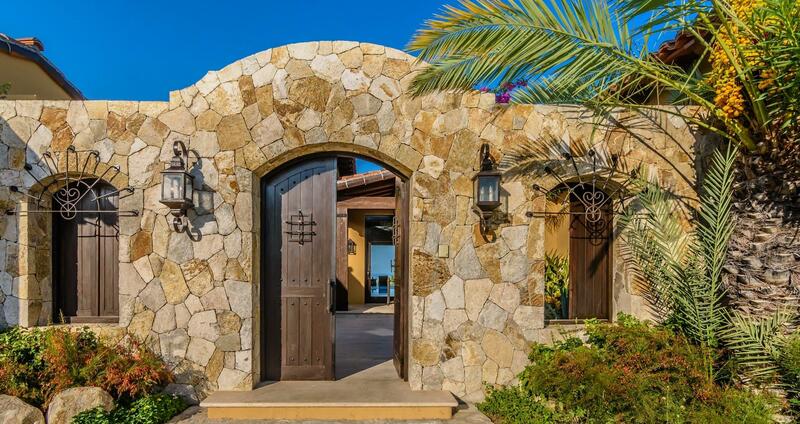 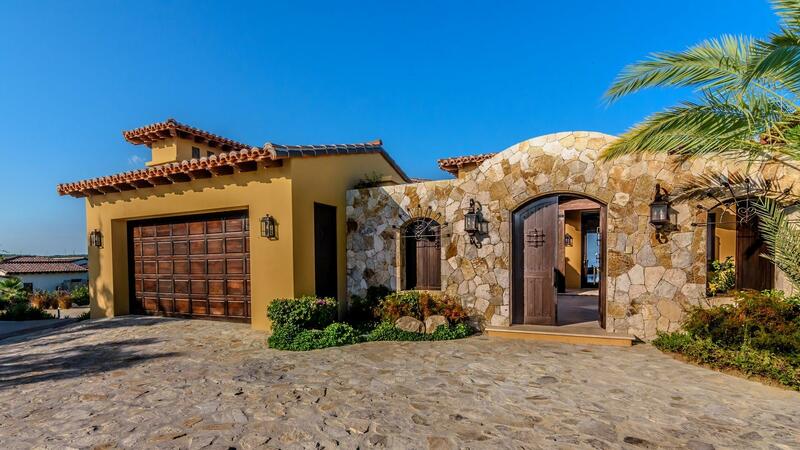 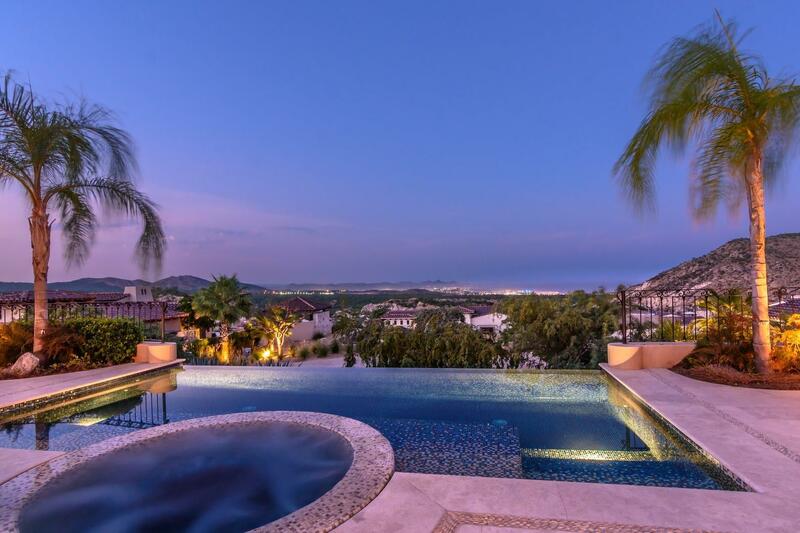 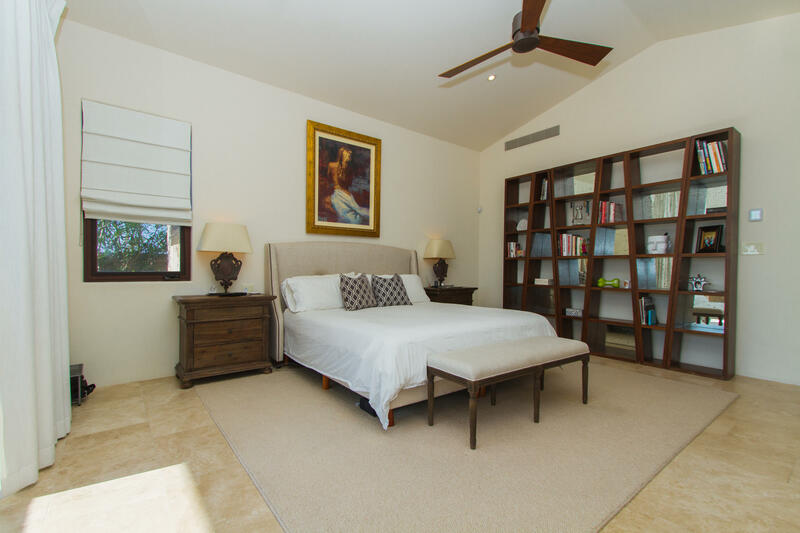 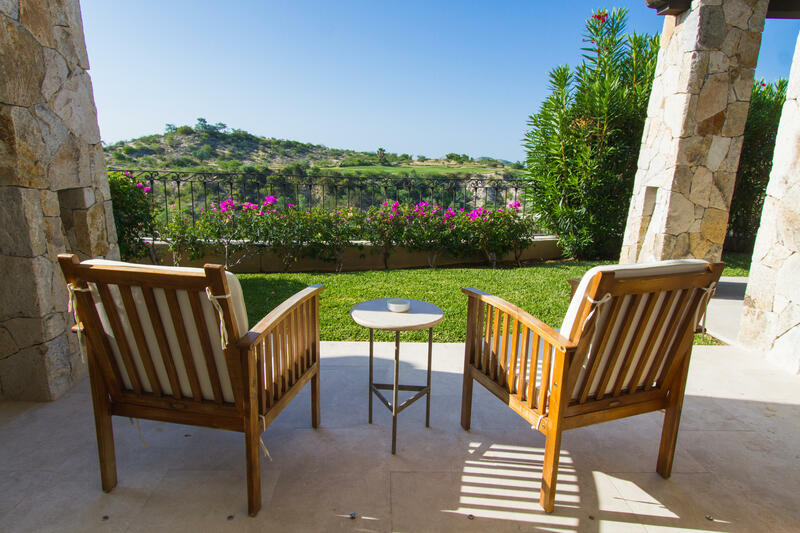 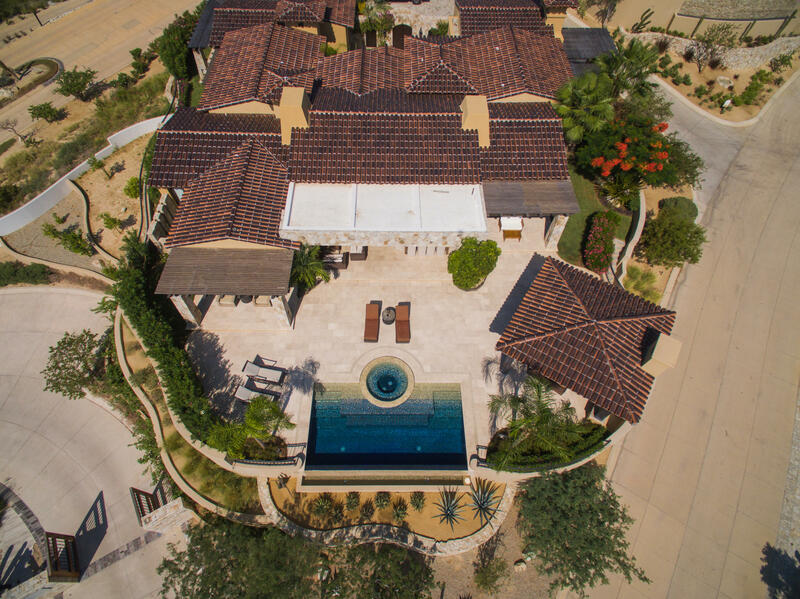 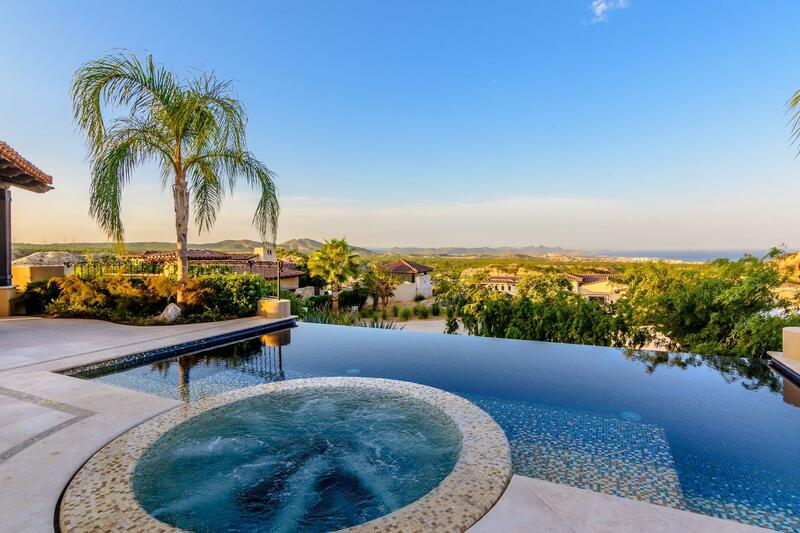 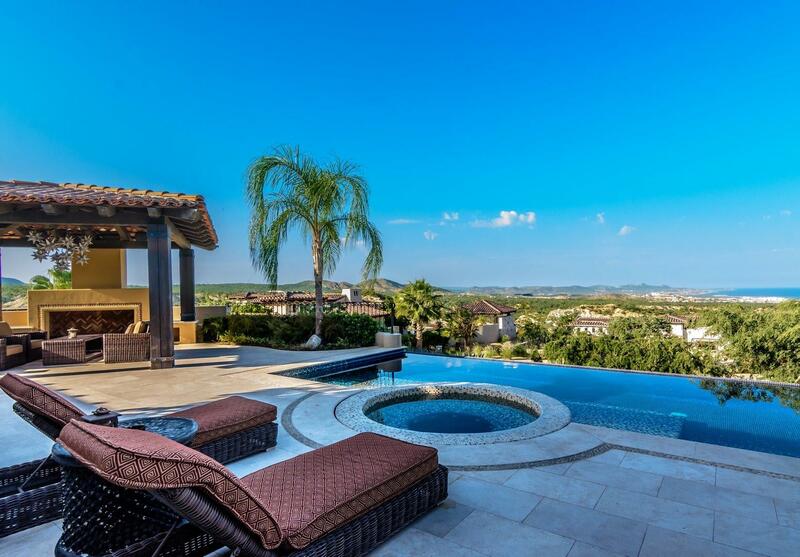 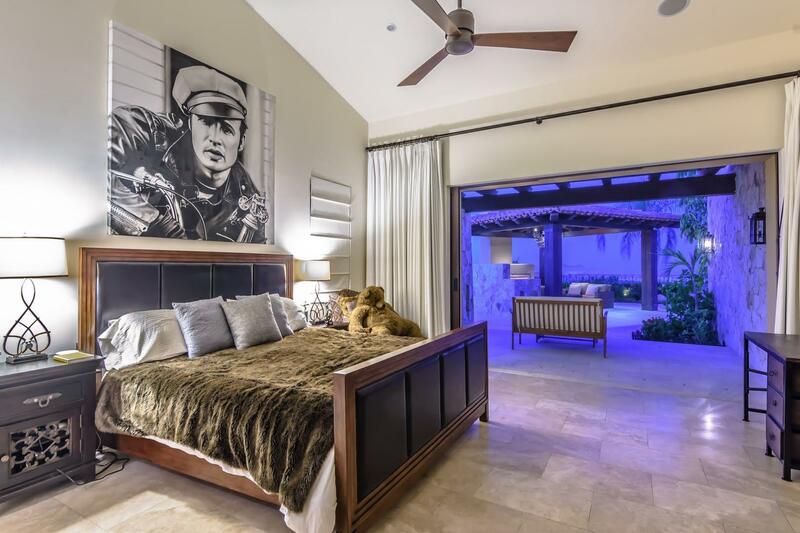 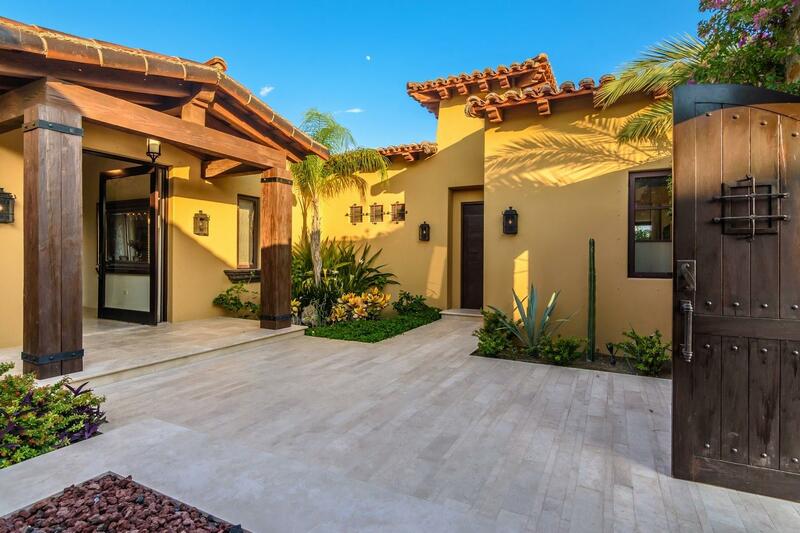 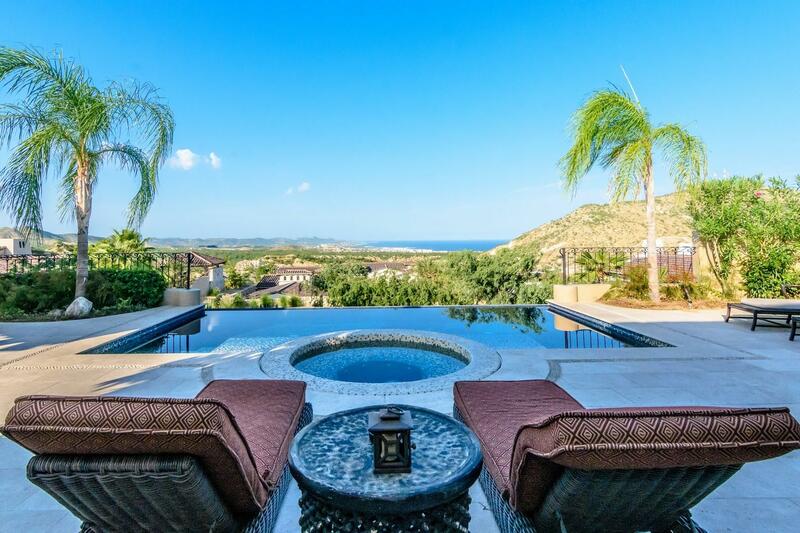 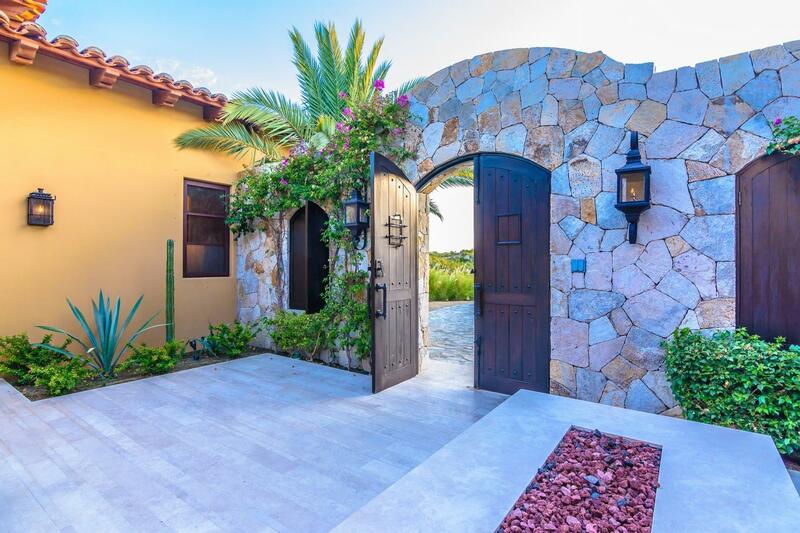 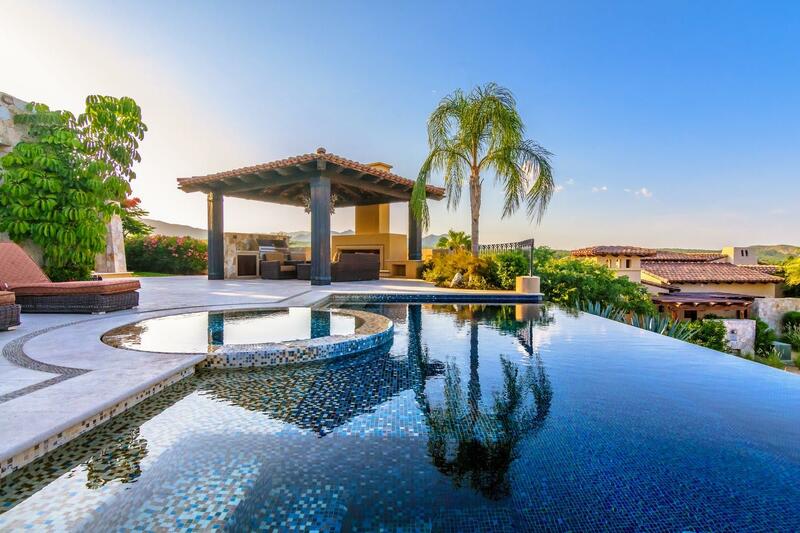 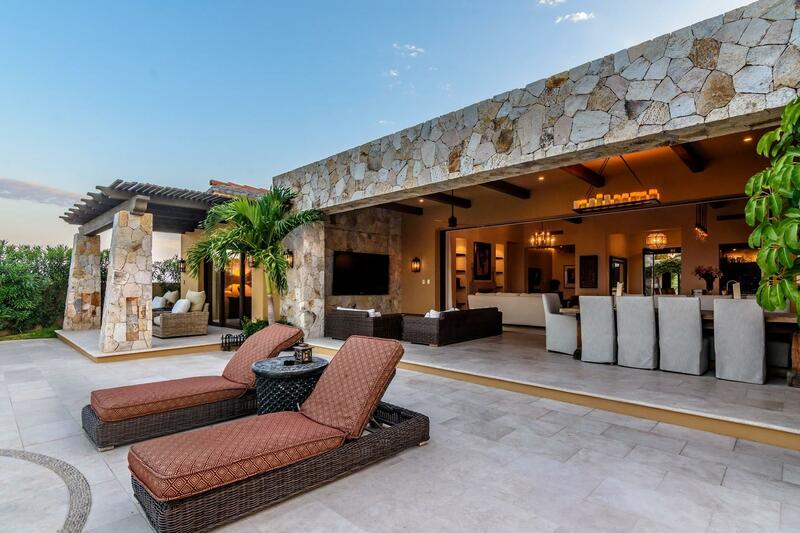 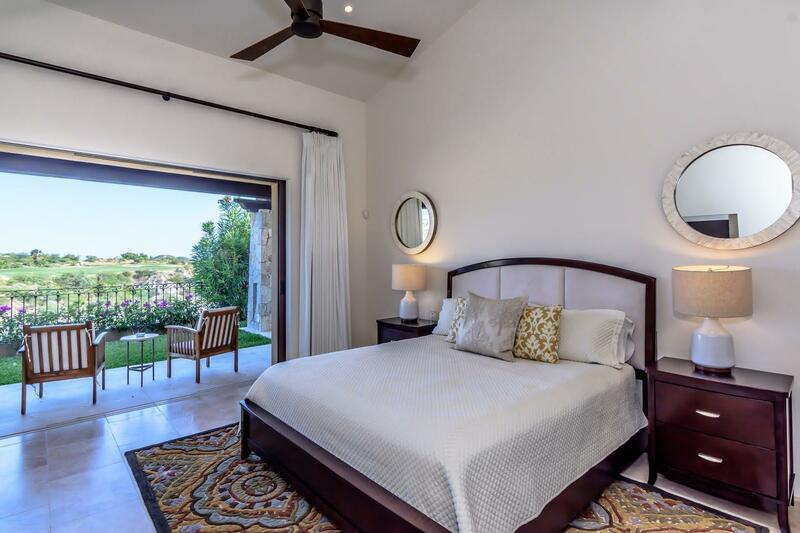 Located in the highly desirable neighborhood of Las Canadas in Querencia, this modern home is just a short walk or golf cart ride from the Q-Club Village which offers the world class Tom Fazio Golf course, Spa, Fitness Facility, Restaurants, Bar, Pools, Tennis Courts, and children’s activities. 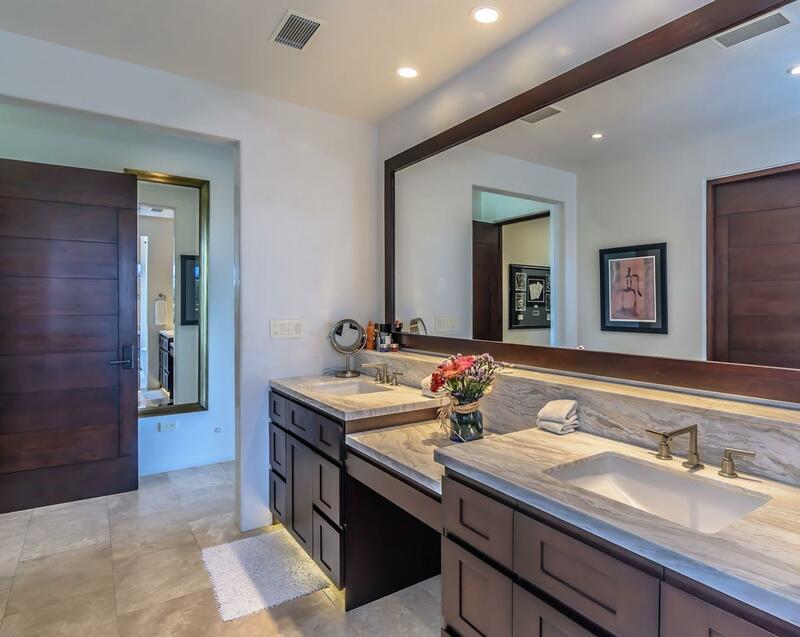 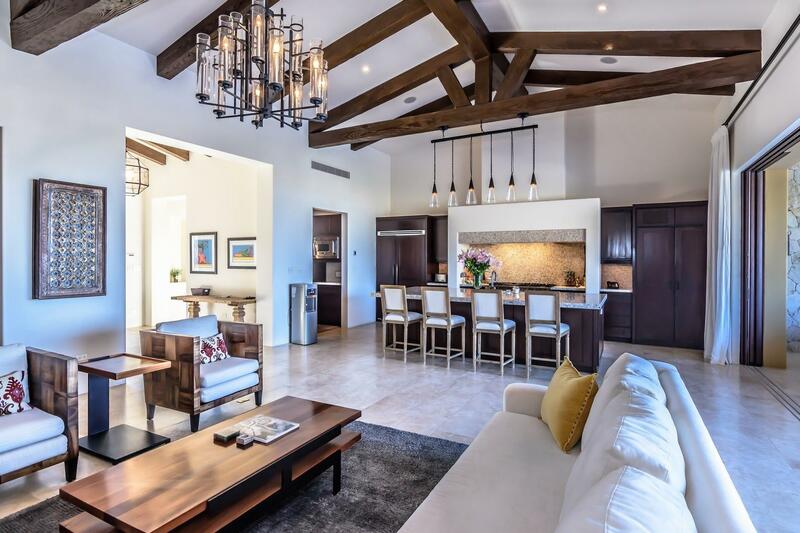 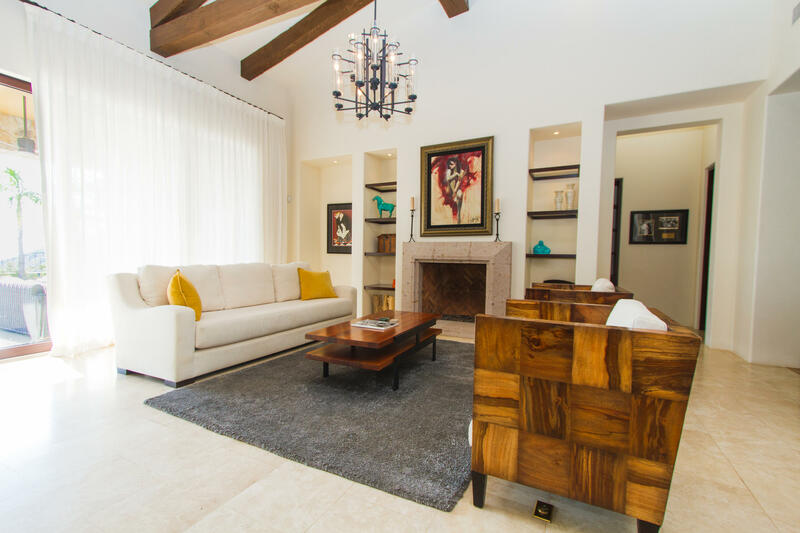 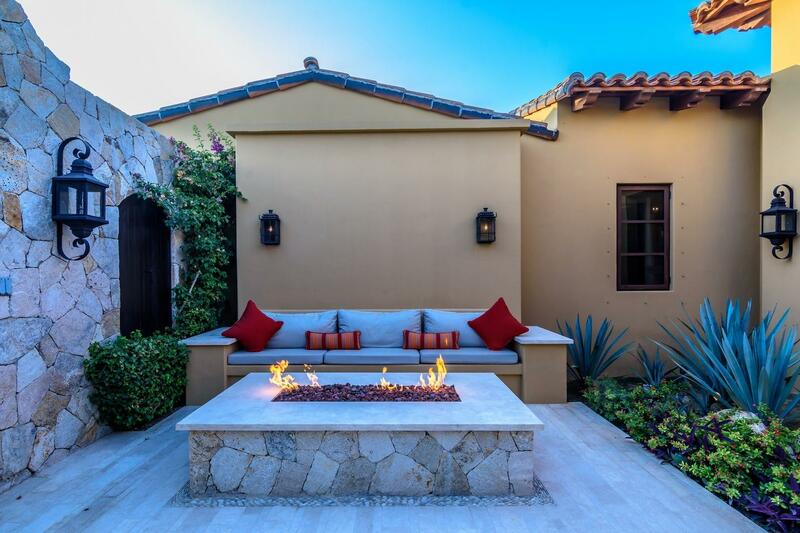 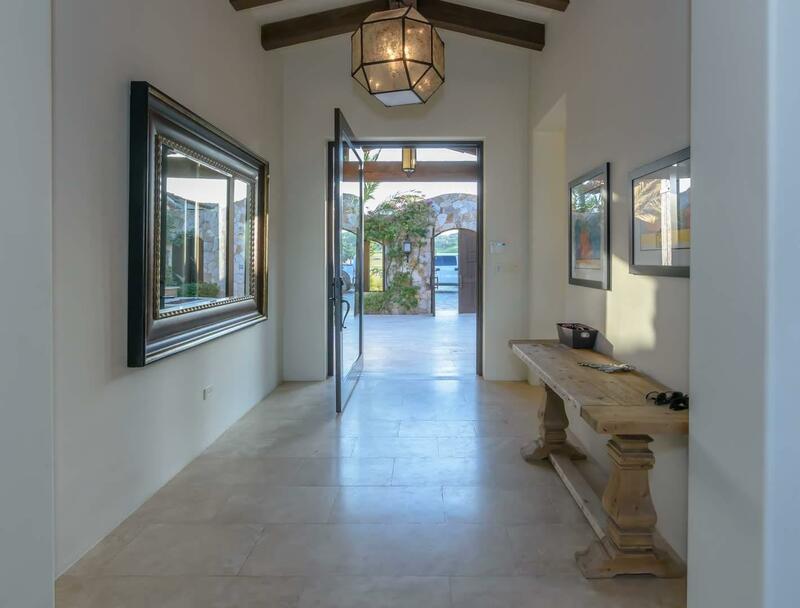 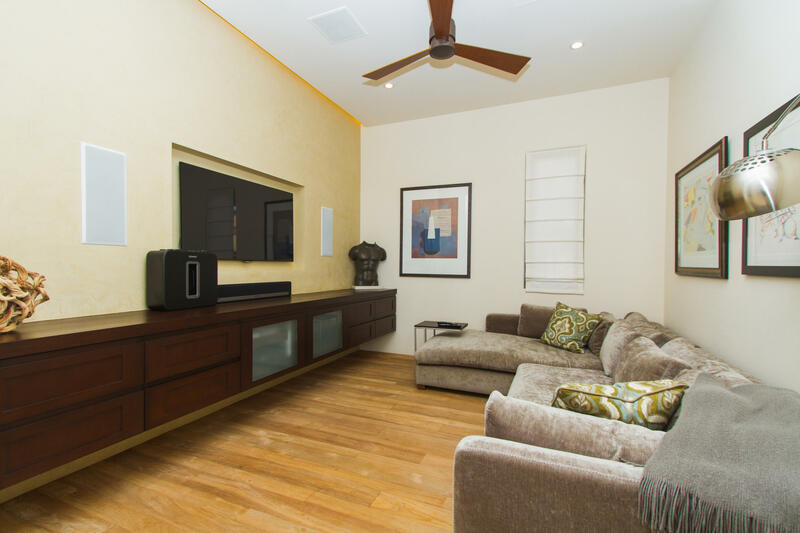 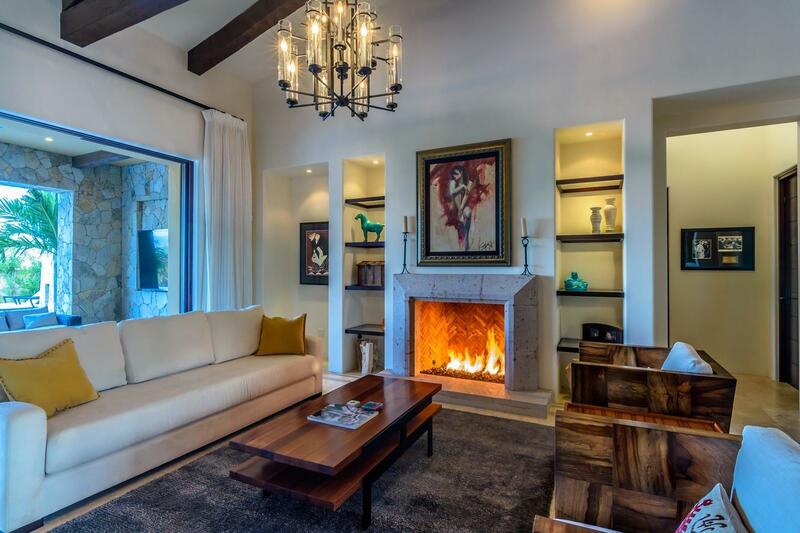 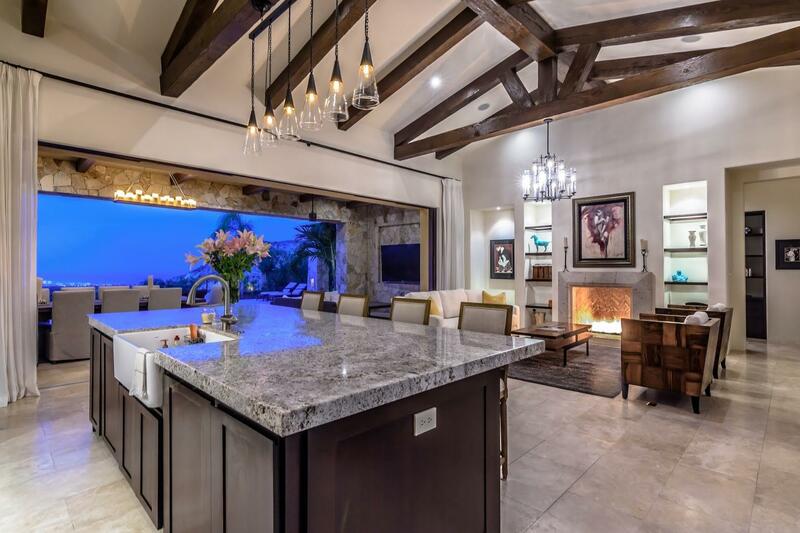 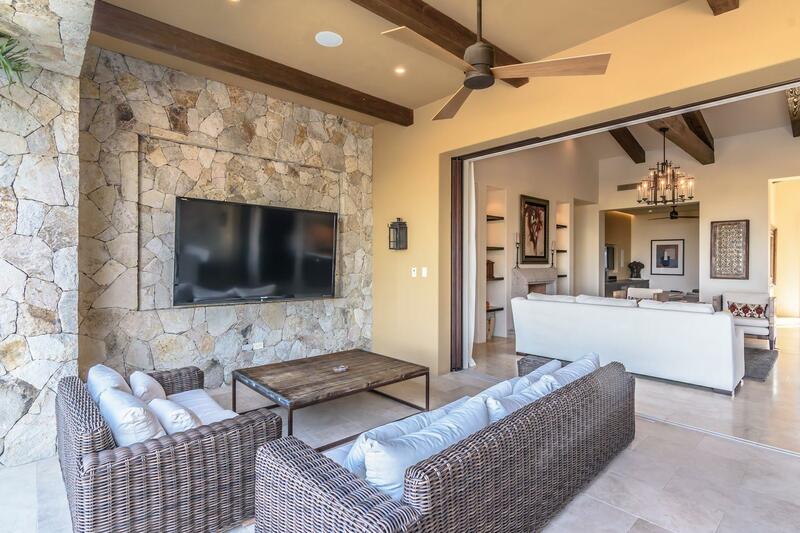 This home features an open floor plan with indoor/outdoor living concept, cascading water feature and 2 gas fireplaces perfect for entertaining. 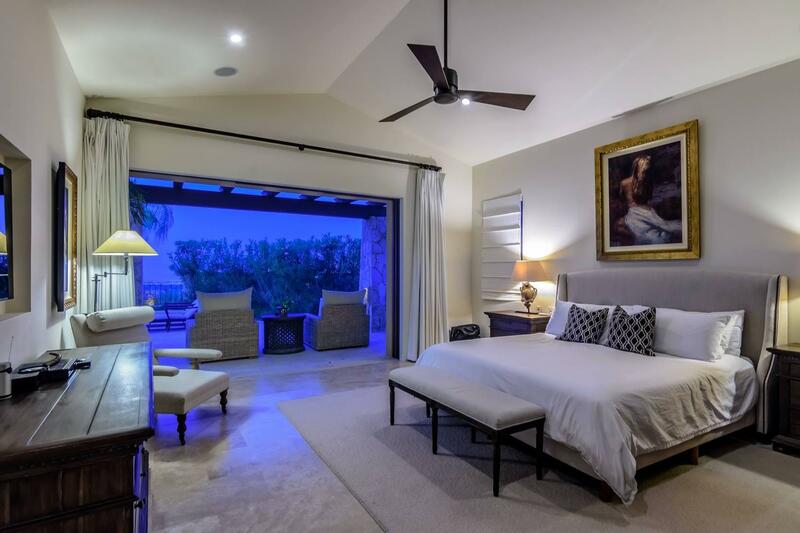 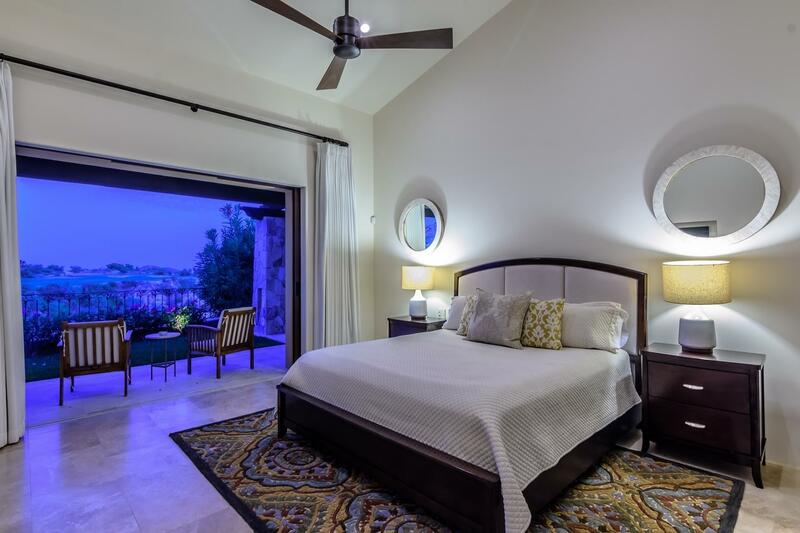 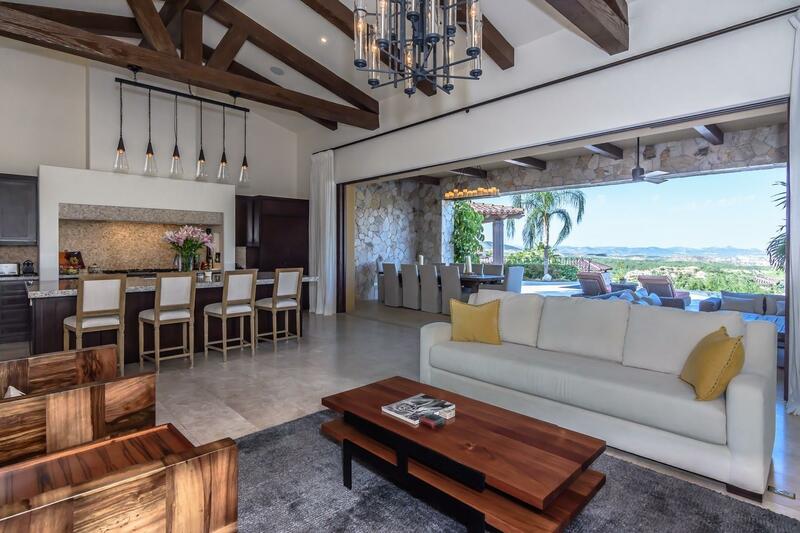 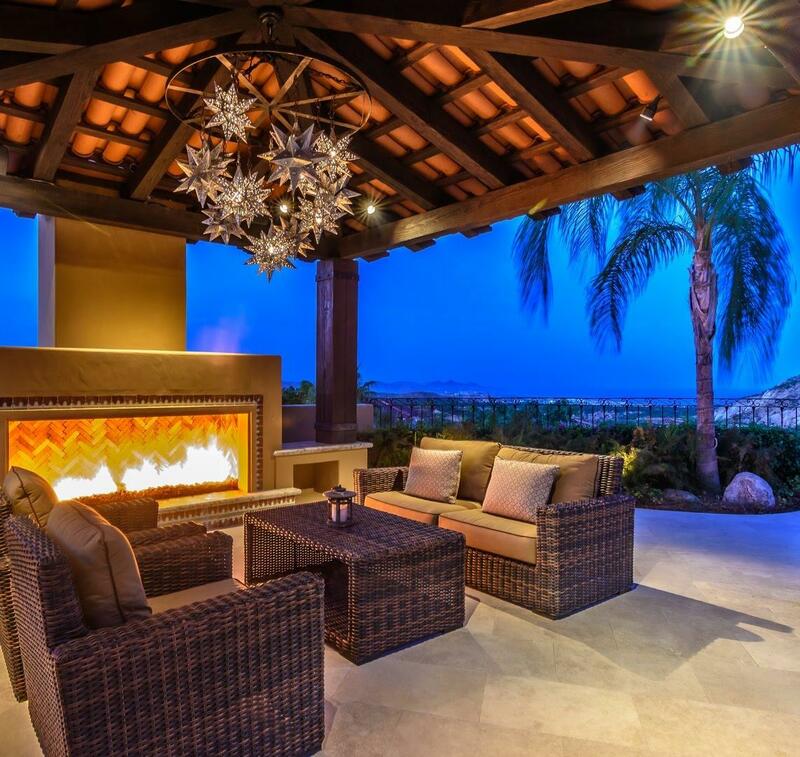 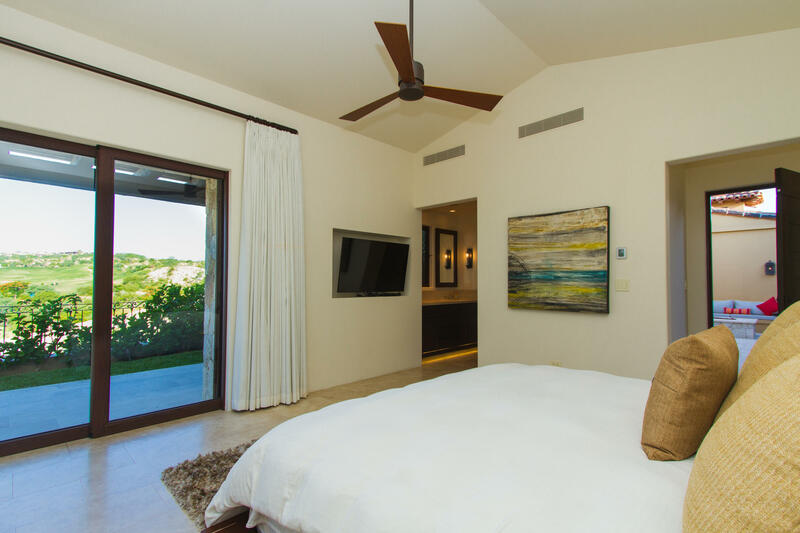 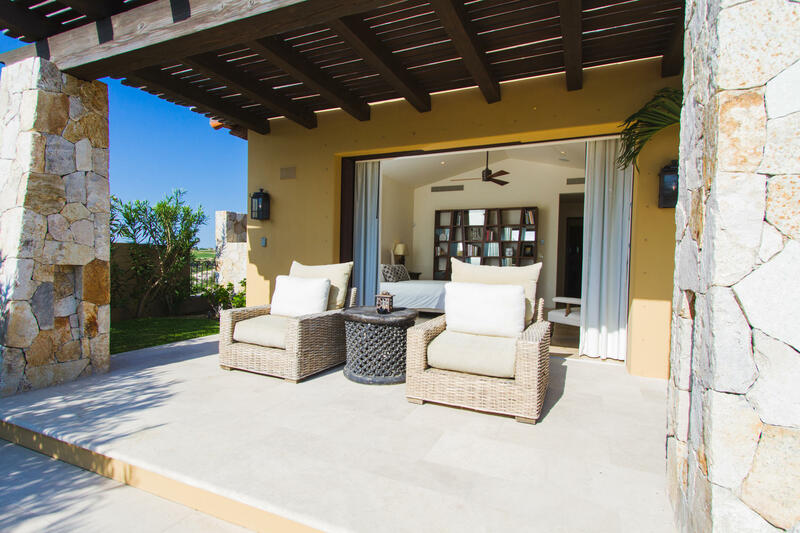 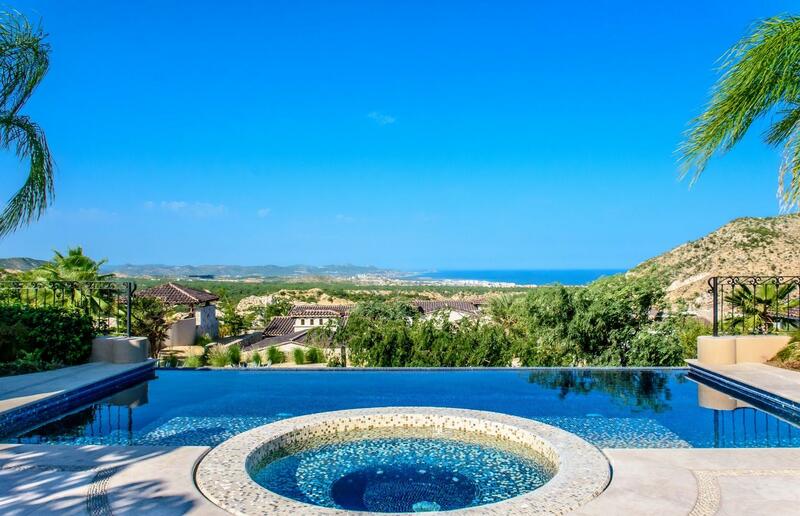 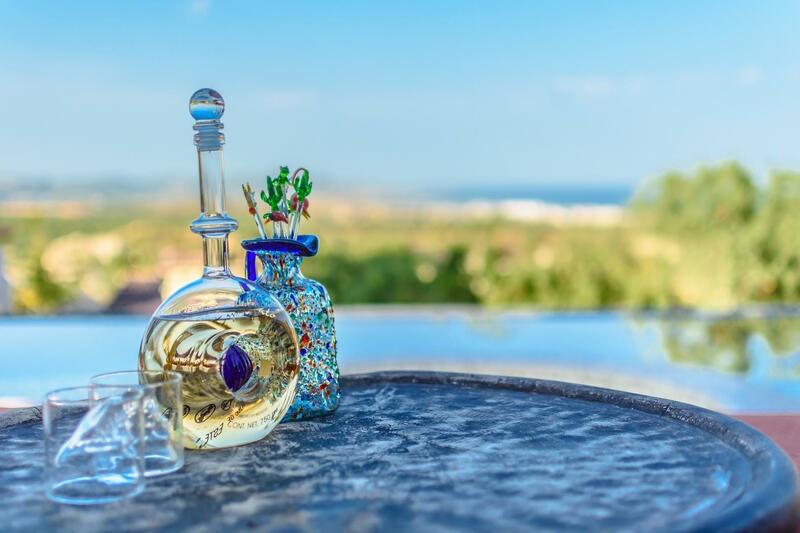 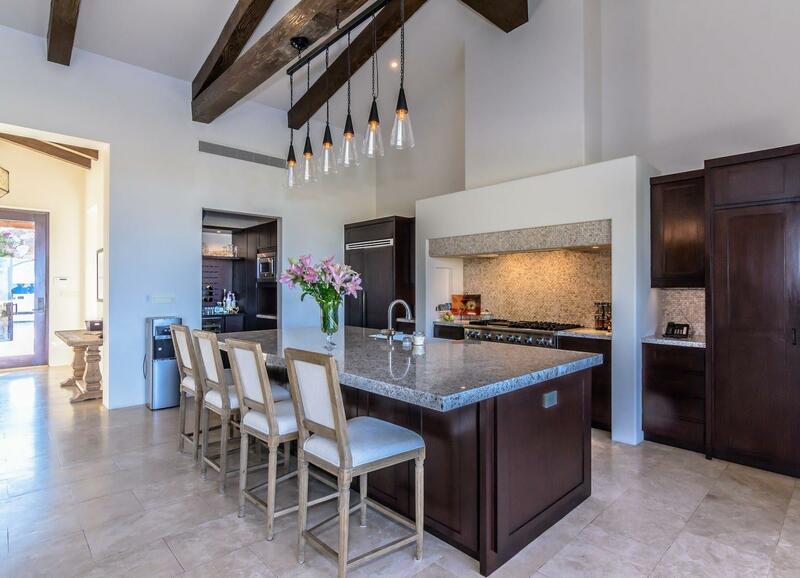 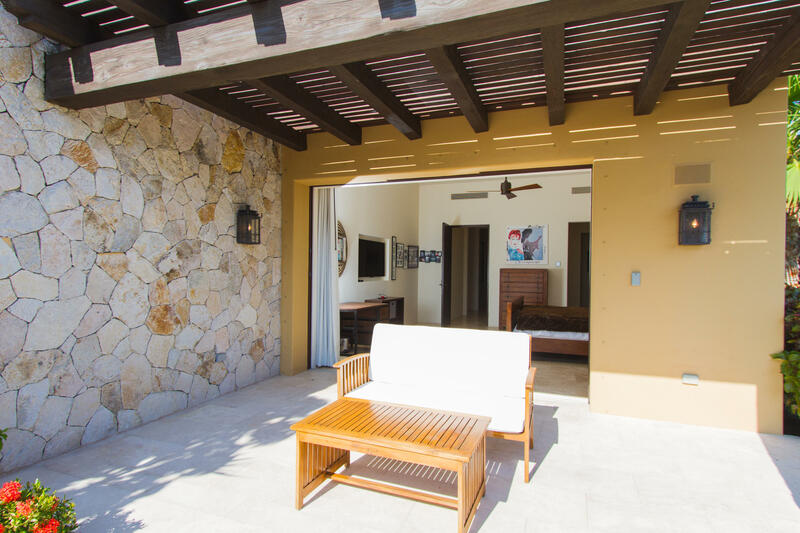 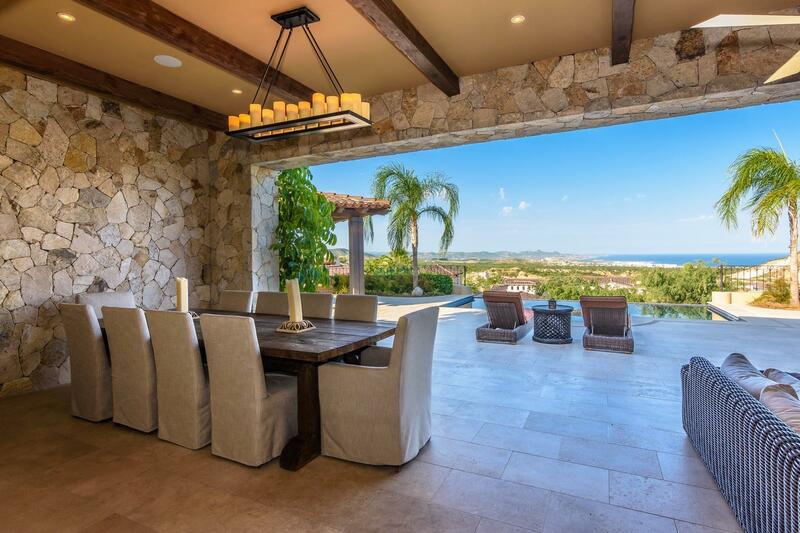 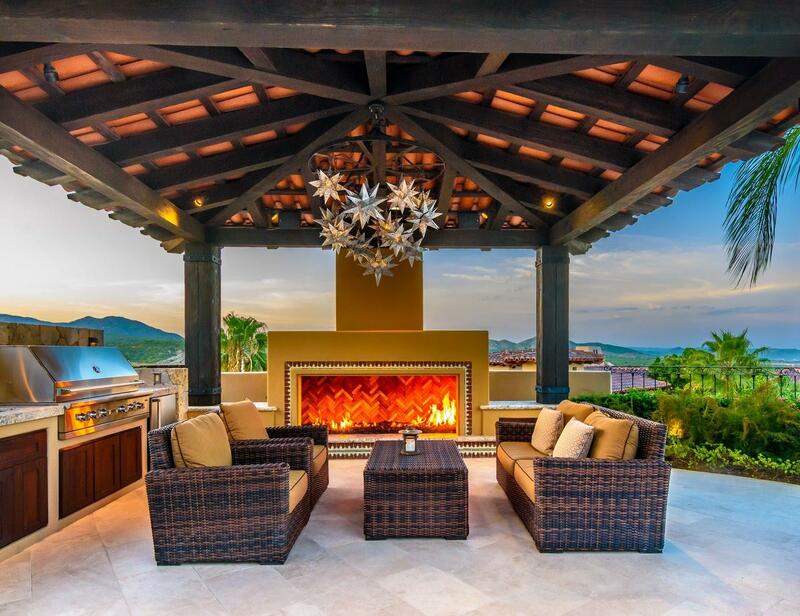 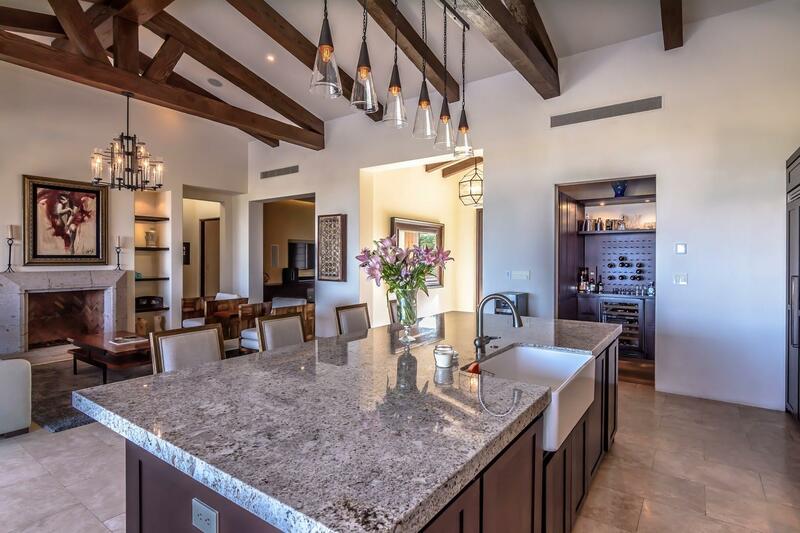 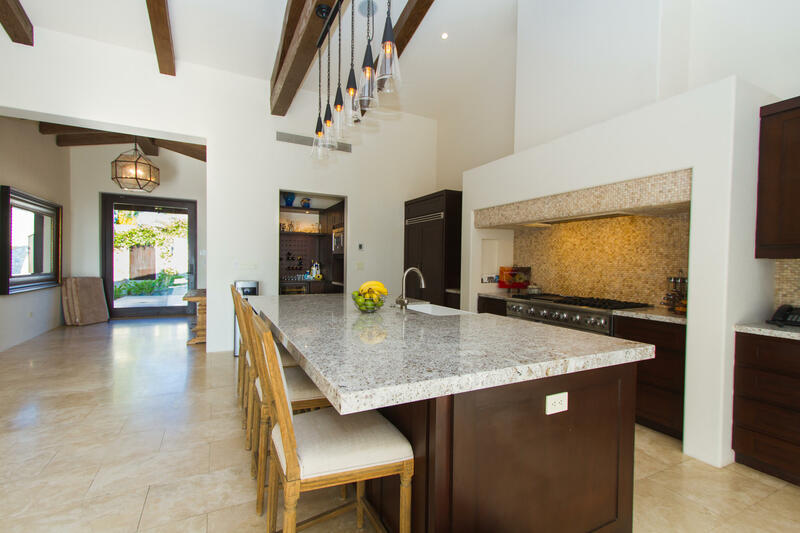 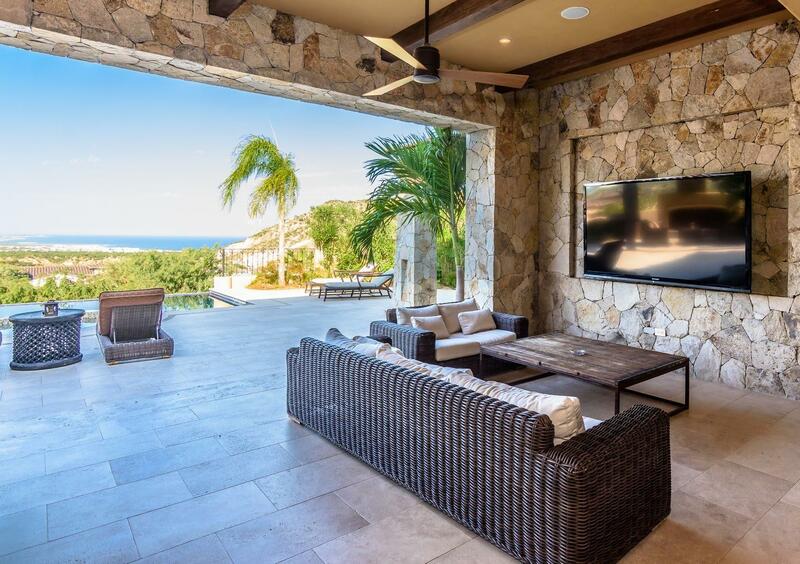 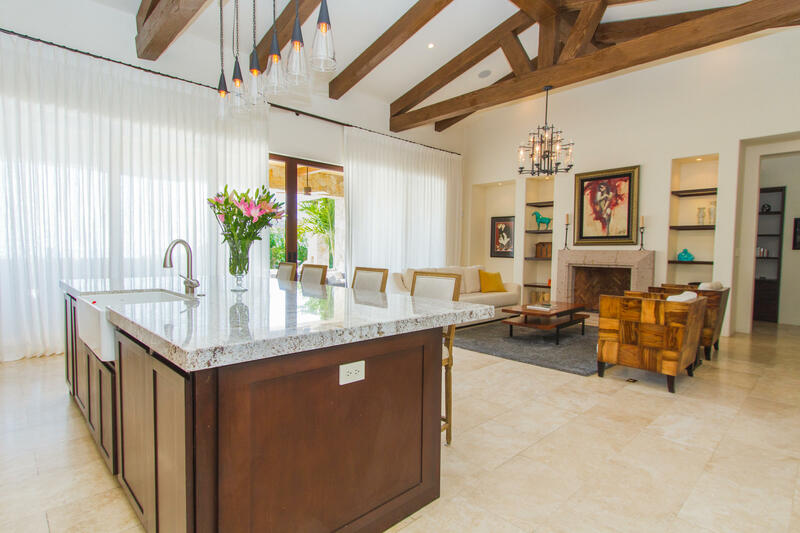 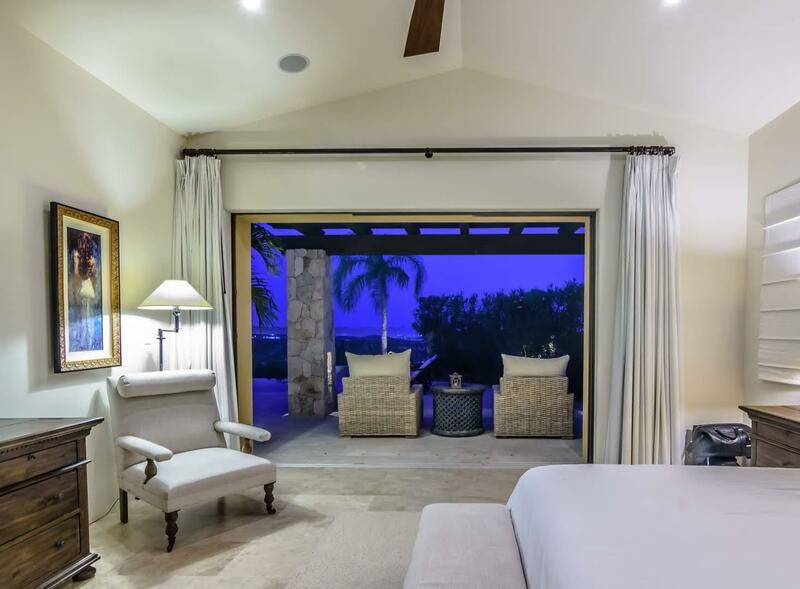 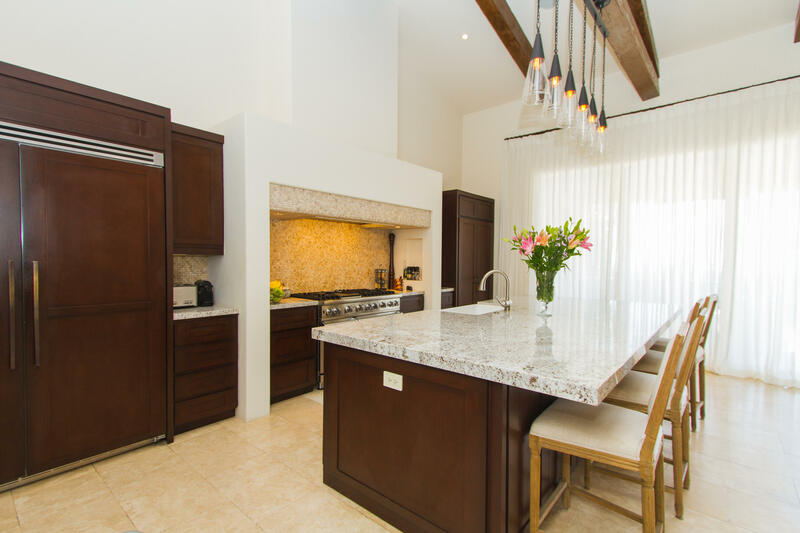 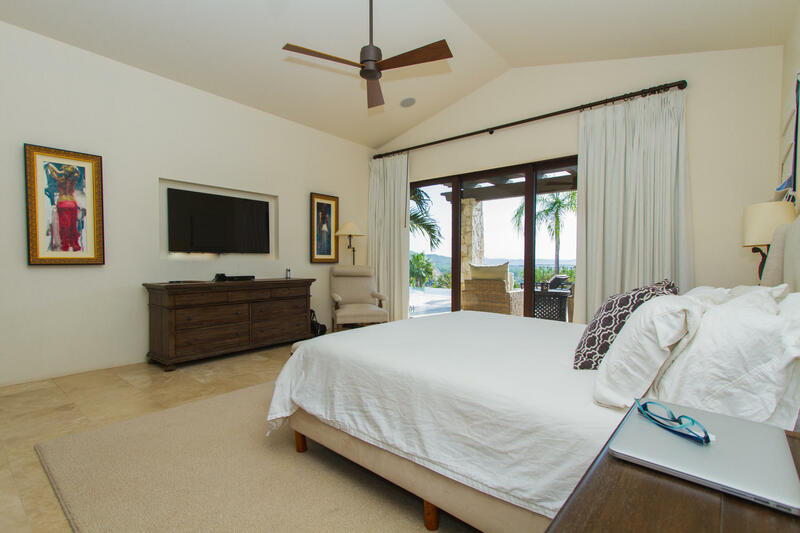 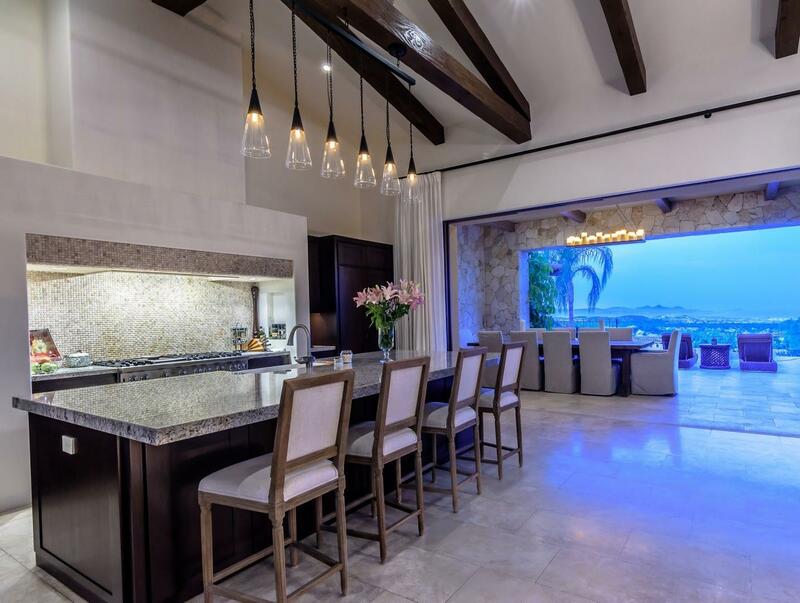 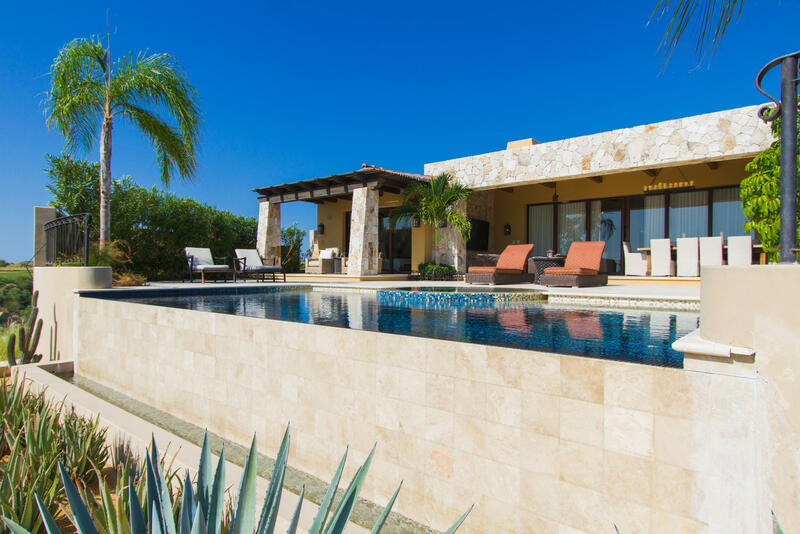 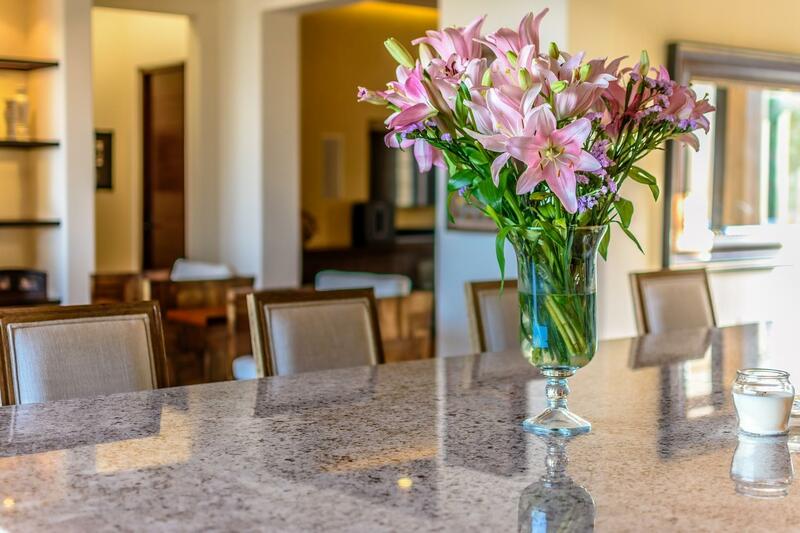 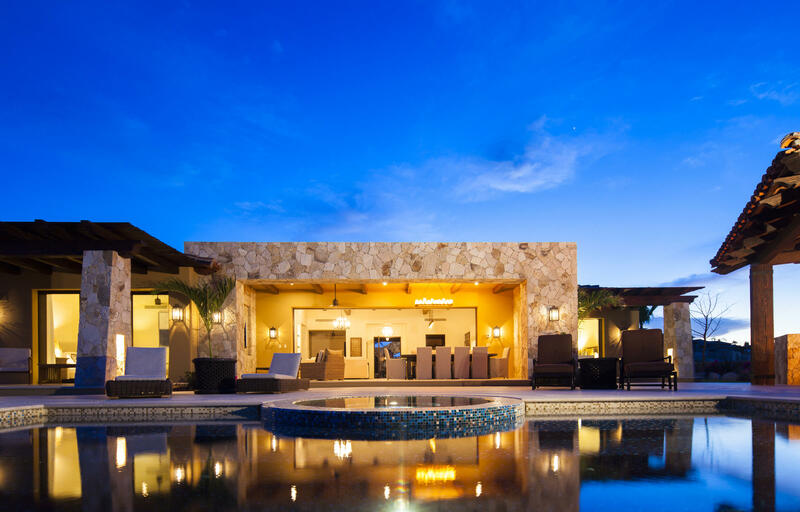 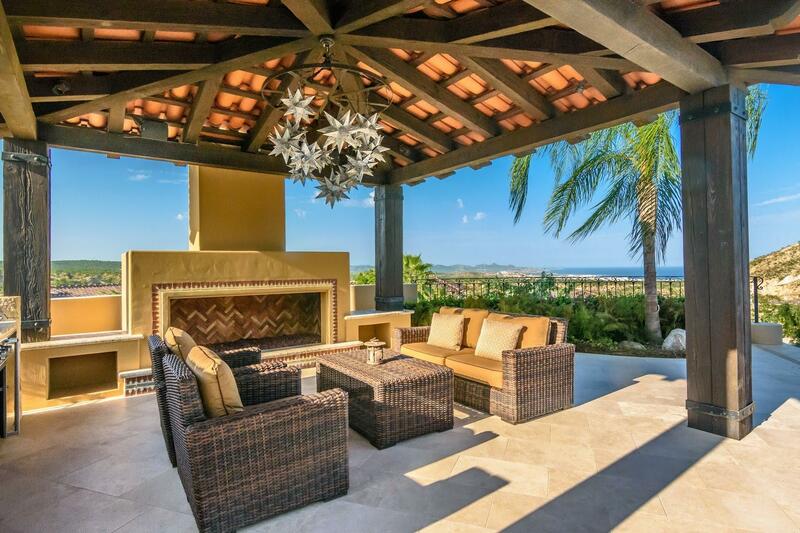 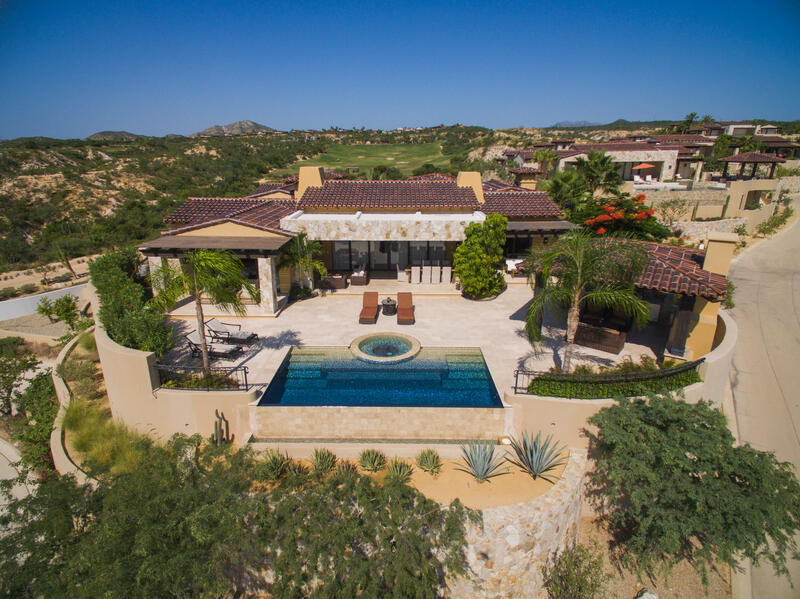 The spacious great room extends into the gourmet kitchen with views of the infinity pool and Sea of Cortez. 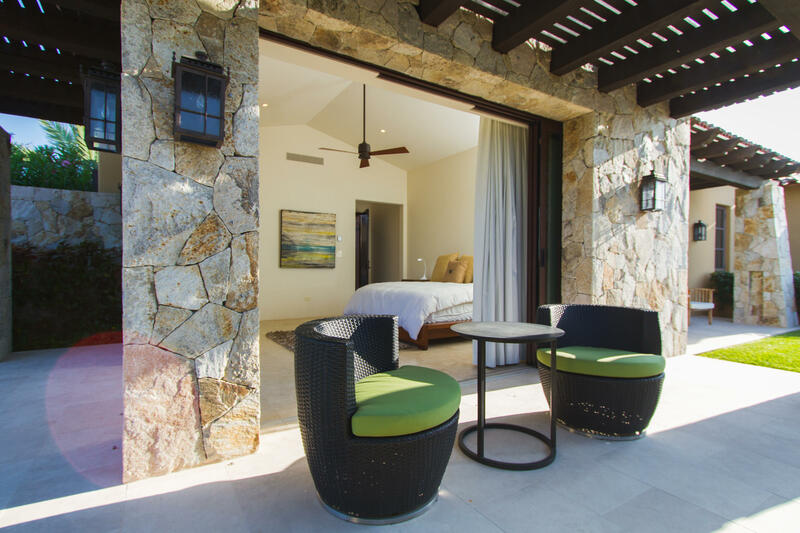 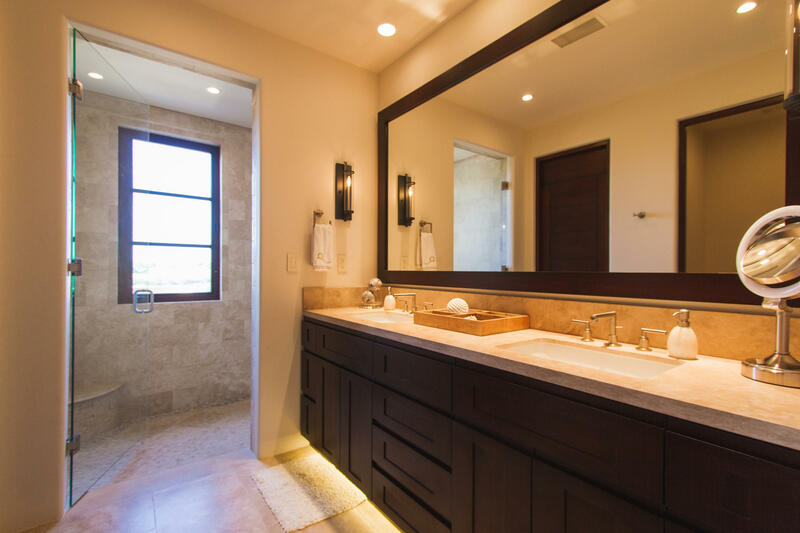 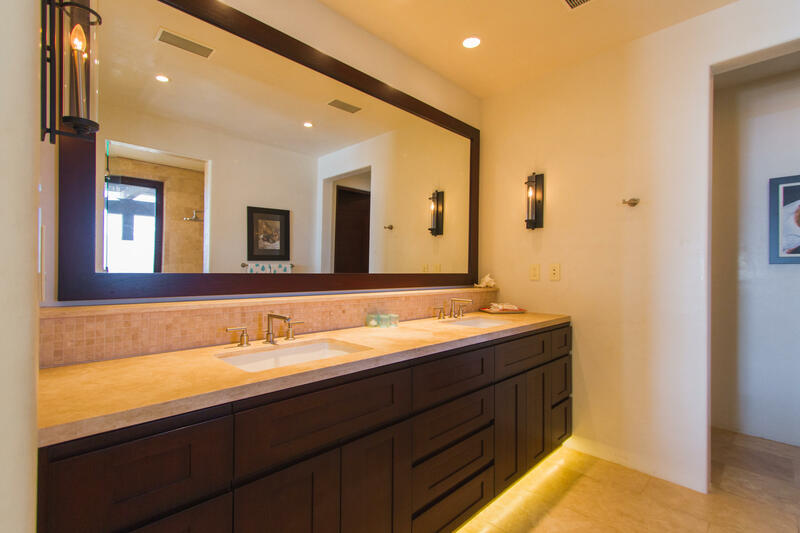 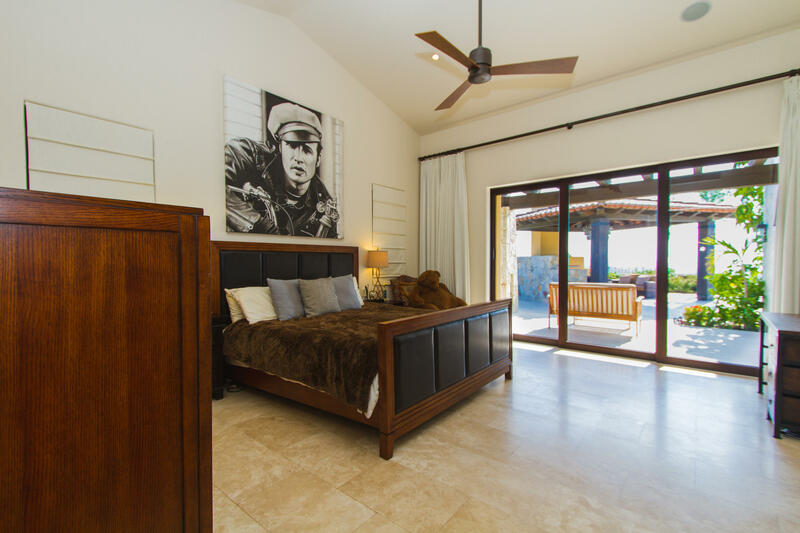 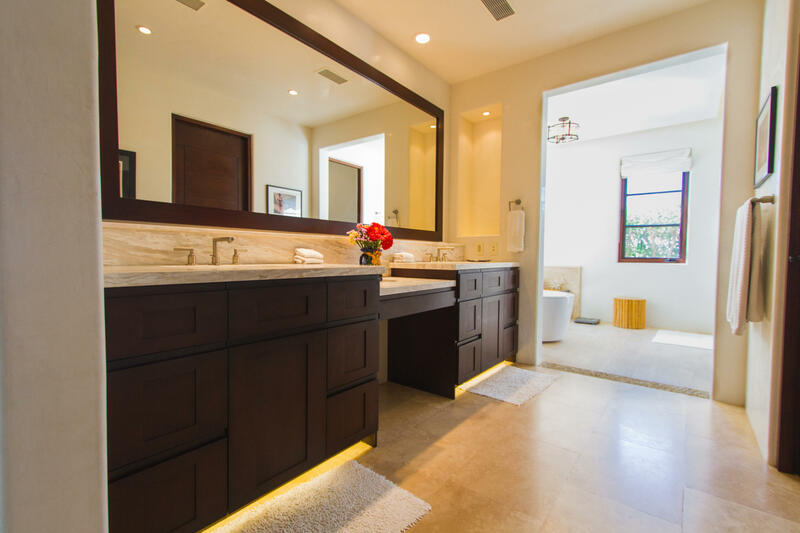 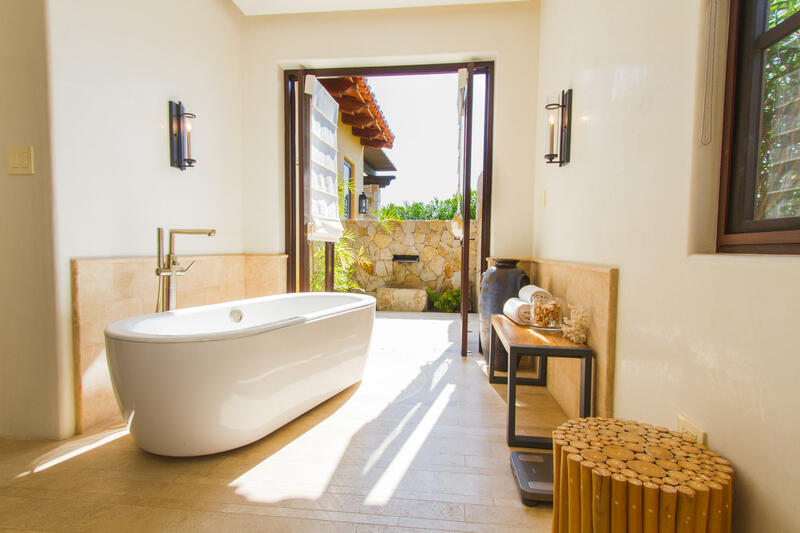 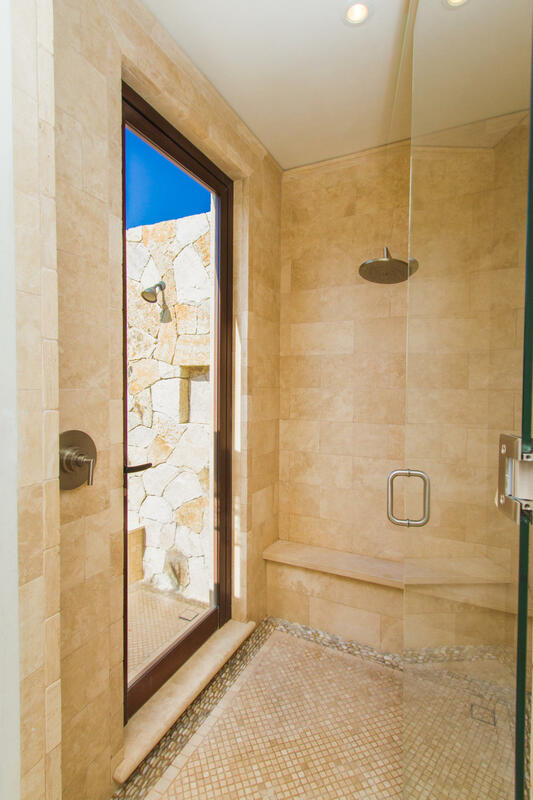 The master suite offers indoor/outdoor showers and a standing soaker tub perfect for relation.